PORT JEFFERSON, Long Island (WABC) -- About 1,100 customers woke up without power on Long Island Wednesday morning after damage caused by high winds. 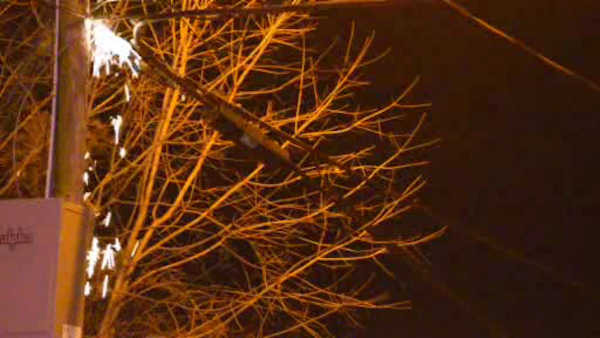 The winds brought down some trees and power lines in Nassau and Suffolk Counties. A tree fell on Brook Road in Port Jefferson. Earlier, arching wires fell off a pole on Joy Road in Selden.